It’s going to be a short post today (heh). Yesterday, it was 30 degrees outside. 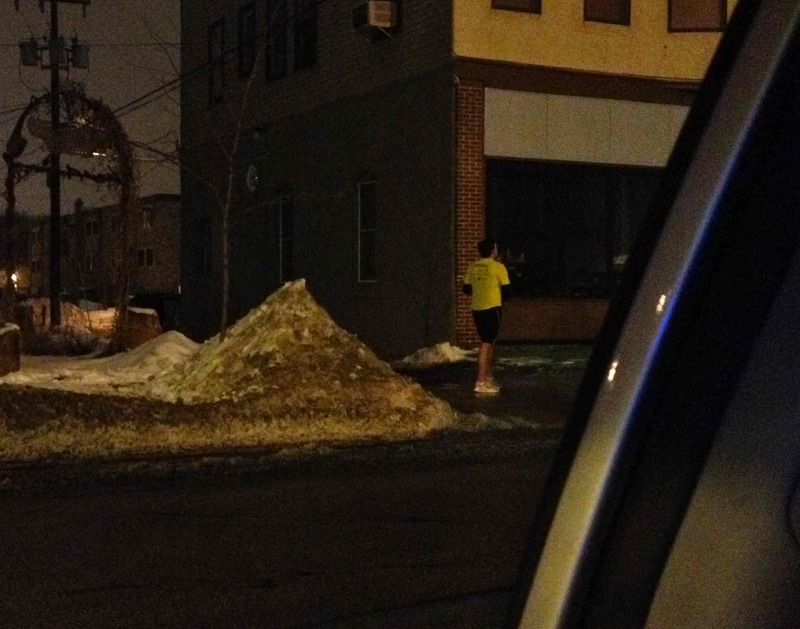 Naturally, this guy was wearing shorts. See that pile of dirt next to him? It’s actually snow. And yes, I am the creeper who took an anonymous picture through my car window. Where I was wearing pants. I am proud to live in a place where people appreciate a good balmy day. Because it was so pleasant on Sunday evening (and because I hate pants,) I wore a short skirt when I shoveled my sidewalk. Scott, I wouldn’t have believed you if you said you shoveled in pants.